I saw her then. . . the girl dressed in plain clothing. . . well, is she as old as me, since she is transferring to this class? No, she was not an "unknown girl". Just a moment later, her name came to Ayumi's mind, and her good-looking face also. She is Kyouko-chan, who lived in my neighborhood when I was little. "Hello. 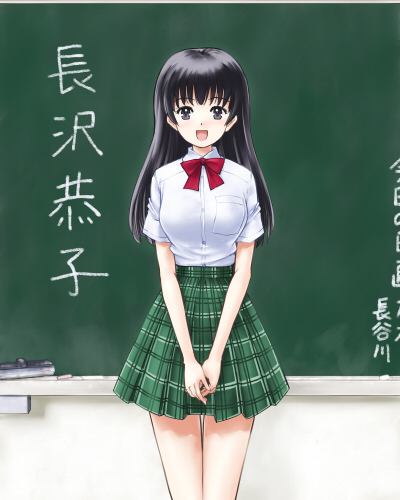 I am Kyouko Nagasawa, and I just transferred in." She seemed to say many other things, but Ayumi did not listen to most of them.